We love being at the top of our game by providing our customers with the best products, a second-to-none installation service and a great customer service from start to finish. Putting ourselves in the mind-set of our customers means we can recommend what’s best for you and your vehicle. We’re not as big as some of the other companies out there which means we can concentrate on giving the best possible service but can also mean that not as many people know who we actually are! This is why we set ourselves up on The Review Centre! Once we’ve done an installation we get our customers to rate us and write a quick review so others know that we’re good at what we do and are true to our word. Thanks to that we now have a 5/5 Star Rating and 100% of our customers would recommend us which is really great to know. 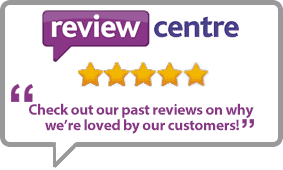 You can see our latest Trustpilot reviews to the right but if you want to visit our old Review Centre page to see more of our fantastic reviews then please click the link below! Back in October 2013 we put Advanced In-Car Tech into an award called SBS. Well we won! 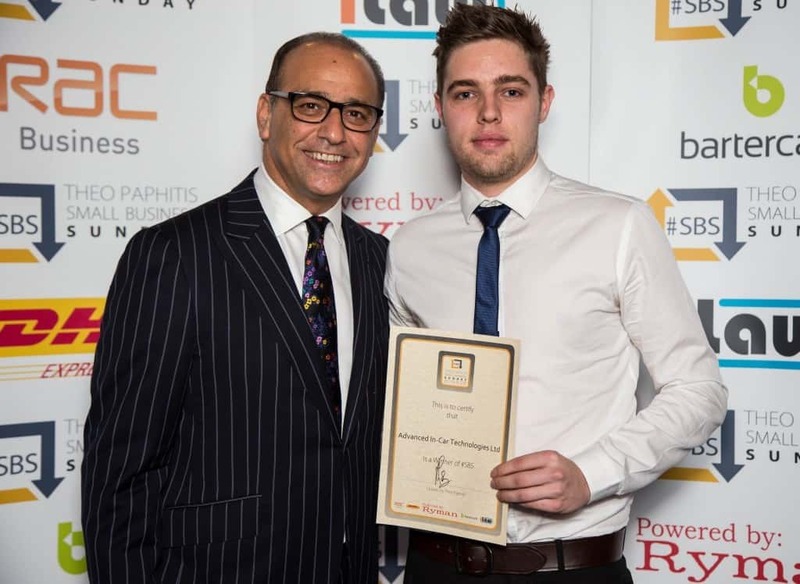 We received a Small Business Award and online boost from TV Dragons’ Den star Theo Paphitis! He based his decision on our business idea, website and commitment to our quality and customer service! We travelled to Birmingham just before Christmas to meet Theo and pick up our award. You can see Tim our Marketing Manager accept our certificate from the man himself in the picture above. Tim said, “It was a great experience meeting Theo and chat about our business as well as our future plans”. Not only was this a great honour but we received an explosion of followers on both Facebook and Twitter and goes to show that we’re committed to providing fantastic products, a great installation service and awesome customer service. Copyright © 2017 Handsfree Solutions Limited trading as Advanced In-Car Technologies. Company No: 5523072 . All Rights Reserved.